Verne Goering took woodworking classes all through school as a boy. He set the craft aside during most of his working years, but after retirement in 2001 he was back at the workbench. 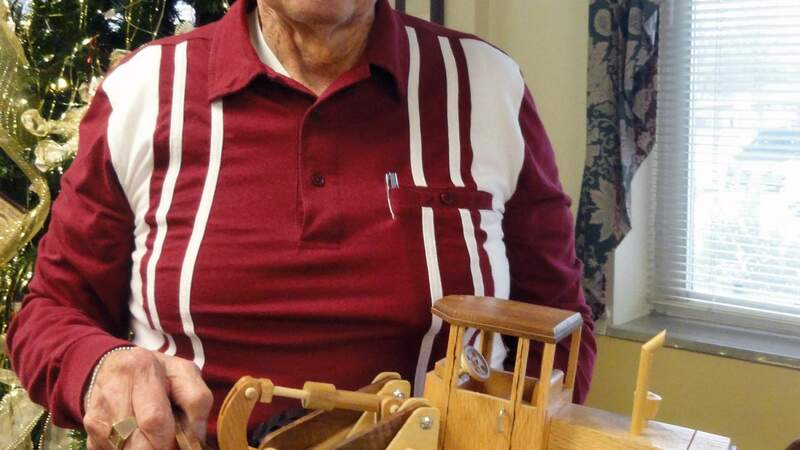 Since then, Verne estimates he has made more than 5,600 wooden toys, and he’s given most of those away. Every year Verne donates loads of handmade toy trucks to Toys for Tots and the Union Rescue Mission in Wichita. His usual output includes little pickups, two-ton trucks, semis, and Grasshopper style pull toy. 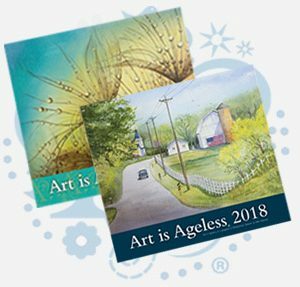 This year, his work will also be enjoyed by anyone with a 2017 Art is Ageless calendar. 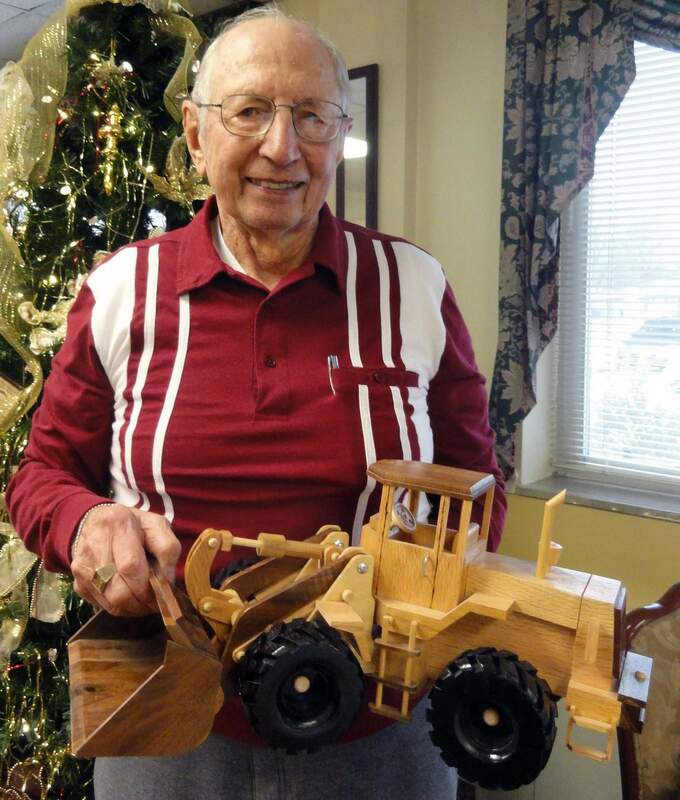 A front-end loader he built was chosen among winners across all Presbyterian Manors of Mid-America communities to be featured in the calendar. 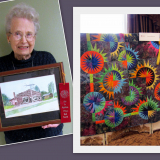 Verne has entered Art is Ageless twice at Newton Presbyterian Manor. 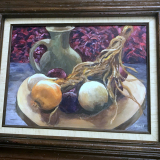 Last spring, he earned the People’s Choice award, which put him in the running for his first win at the masterpiece level. 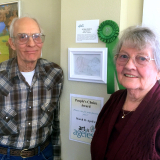 Verne and his wife, Ruth, live in a retirement community in Moundridge (Ruth’s sister is Newton Presbyterian Manor resident Eleanore Myers). 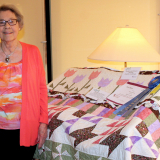 When they were looking for a place to retire, one big requirement was that it have space for Verne’s workshop. Now, in his basement, he has a table saw, bandsaw, joiner, drill press, sander, and many hand tools. With every toy he gives, Verne also includes a Bible tract, so that the children who receive them may know the love of Jesus Christ. His generosity to those in need is a great example of that love as well.